The End-Hall Thruster on display. 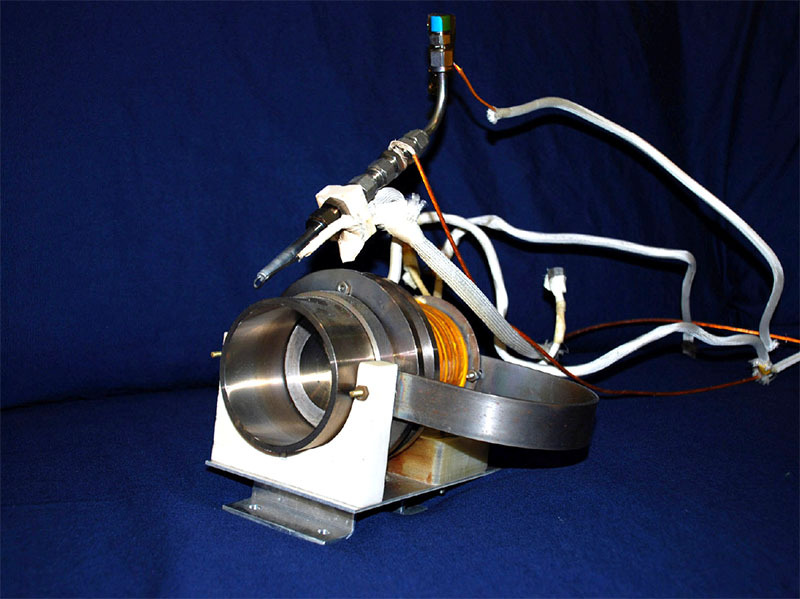 The 500-W end-Hall thruster, developed at NASA Lewis Research Center (now GRC) was studied at PEPL as an alternative to the closed-drift thruster (CDT) that gained popularity due Russian research showing excellent CDT performance. This thruster does not have a center pole , thus eliminating an entire surface that can be eroded away. However, efficiency was found to be lower than similar CDT devices.